June 15, 2006 (North Vancouver, BC.) – Jerome Twin Rainbow-Irwin, author of The Wild Gentle Ones: A Turtle Island Odyssey received an honorable mention award for Story Teller of the Year, one of the annual competition’s Ten Outstanding Books of the Year categories that were presented at Book Expo America in Washington, D.C. at the 10th Annual IPPY Award Celebration. 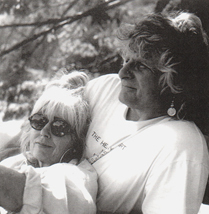 Irwin’s book was one of some 1,500 fiction and memoir titles considered for the prestigious award, and ended up among the top three choices, which included his work being named, as well, as a semifinalist in the Autobiography/Memoir category, which had 115 entries. The Wild Gentle Ones is a trilogy that documents the unique historical record of Twin Rainbow-Irwin’s odyssey through North America’s Indian Country over the span of three decades. His visionary trek takes us across the United States and Canada in a blue Comet Caliente hardtop convertible and an old white, snub-nosed milk truck he refers to as his, “New-Age covered wagons.” Along the way, Irwin receives the intimate name Twin Rainbow and leads readers to discover where their own intimate name and “native soul” can be found in today's post-modern world. The Wild Gentle Ones has been compared to Jack Kerouac’s On the Road and Che Guevara’s Motorcycle Diaries. Yet Twin Rainbow-Irwin has written a dramatically different work as he explored his Celtic origins from the Old to the New World. His spiritual-root quest to connect with sacred earth sites and spiritual elders, especially within different First Nation/Native American communities, has lead him to publish this fascinating autobiography, where spiritual, political and cross-cultural tensions are explored through a rich blend of history, religion, wisdom and humor. For more information on the book, check out its Web site, www.turtle-island-odyssey.com. Take a virtual book tour, and while there listen to the Great Turtle's Voice speak about the many questions that each reader will be asked to answer within the odyssey of his or her own life. Examine, too, at the site: it's many full color illustrations; listen to Twin Rainbow-Irwin's rendition of the Great Turtle's Voice and his original song of Turtle Island; watch a Squamish First Nation Rediscovery movie clip; explore the author's work as a Nature/Earth Guide in Outdoor and Wilderness Education; or link up to other fascinating First Nation, Metis, New Age spiritual and deep ecological activist sites. 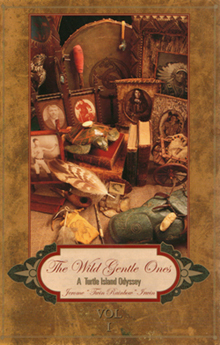 Once you've read the The Wild Gentle Ones, get ready for the release of Volume Two in September 2006, and the many exciting, true-life journeys it will take you on: in-between the worlds of traditional First Nation and Native American medicine men or women; and Metis culture in Canada and the United States. Prepare to delve into its many clashes between the American Indian Movement and New Age Shamans; before returning to Twin-Rainbow's spiritual retreat in the San Bruno Mountain's of Northern California; then partake in a Sun Dance and Ghost Dance in South Dakota, in honor of his late spiritual mentor, Joe Thunder Hawk; before finally ending up in a magical, Tolkien-like cottage in Canada, called The Elf Inn, where Twin Rainbow-Irwin encounters many ghosts and spirits of other times and places. Twin Rainbow-Irwin has worked as a writer/teacher/naturalist with a culturally and ethnically diverse population of youth and adults of all ages. He has practiced his educational-healing arts in a number of venues in Canada and the United States, with an emphasis on creation spirituality education. As a naturalist he has developed Outdoor Education "Web of Life" programs for inner-city/gifted youth, adults and seniors. He has also acted as an Earth Wisdom Guide with Rediscovery Wilderness programs that utilize Native American-First Nation forms of traditional, spiritual healing techniques. Twin Rainbow-Irwin travels between Canada and the United States to monitor the intense deBate within the U.S. Congress over the reauthorization of its Endangered Species Act, and equally furious debate within the Canadian Parliament over its National Public Consultations on Endangered Species Conservation, led to a fifty page monograph, entitled "A Voice In The Wilderness; San Bruno Mountains Struggle for Survival." He is also the author of an original treatment for a Screen/Teleplay Documentary: The Great White Pine Mushroom Gold Rush; A Modern-Day Wild West.